ShoppyZip offering trendy kurtas in various styles, designs and patterns to satisfy every fashionista. This classy and comfortable ethnic wear make you look stylish and will grab the attention of crowd. 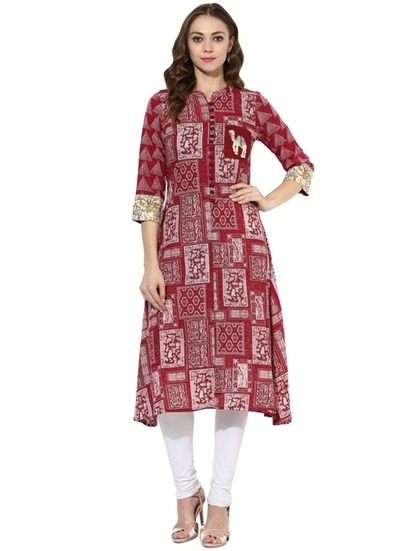 Buy this partywear red embroidery kurta with 50% off, also available in different colours. Call Us : +91-8095641000 No. 110 | Venkatadri Lake View | Revenue Layout Parappana Agrahara | Hosa Road Bangalore – 560068 | Republic Of India.